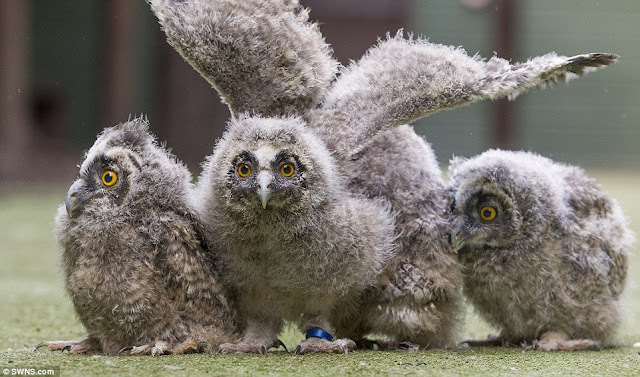 Four rare baby owls have been born at a British wildlife centre despite fears that their parents would not be able to produce offspring. The new arrivals are long-eared owls, all recently born to the same mating pair. 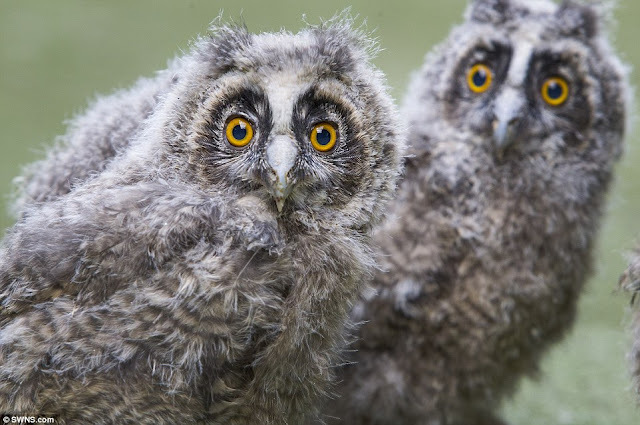 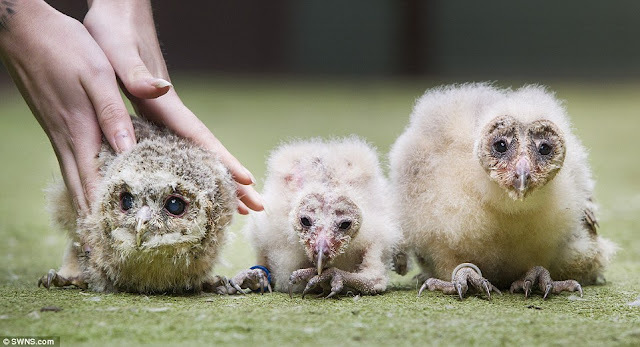 Staff at the Scottish Owl Centre in West Lothian were surprised and delighted to see so many baby birds - known collectively as a parliament of owls - born at once. 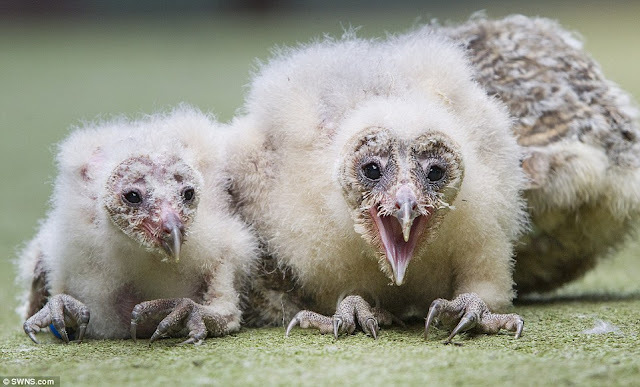 Senior keeper Trystan Williams said: 'It's the first time we've bred them. At the end of last year we got a female in and she obviously gets on very well with the male - they got on straight away. 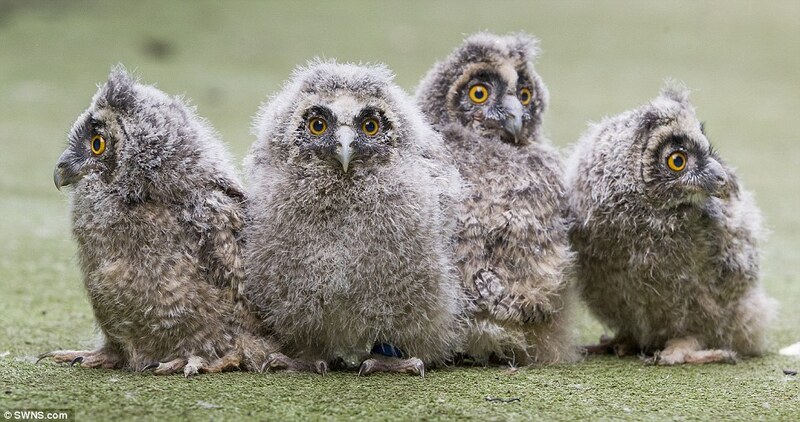 Handlers hope that more offspring might be born over the next few weeks. 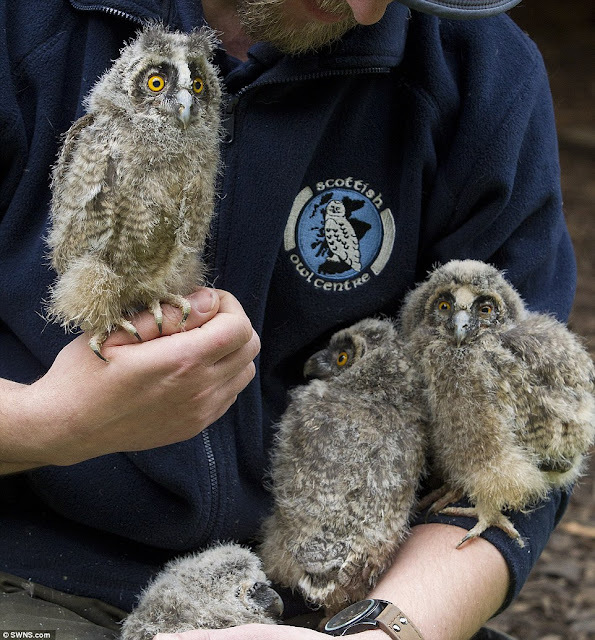 Once the owls are fully grown, they will leave the centre and be sent out for educational work, including working with an organisation which takes owls into retirement homes to help the residents. 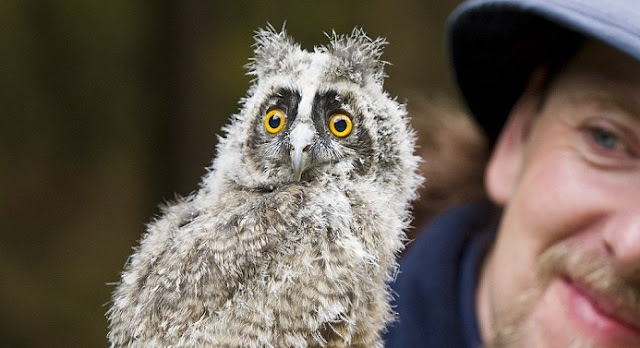 Long-eared owls are native to the UK, but they can be very difficult to find. 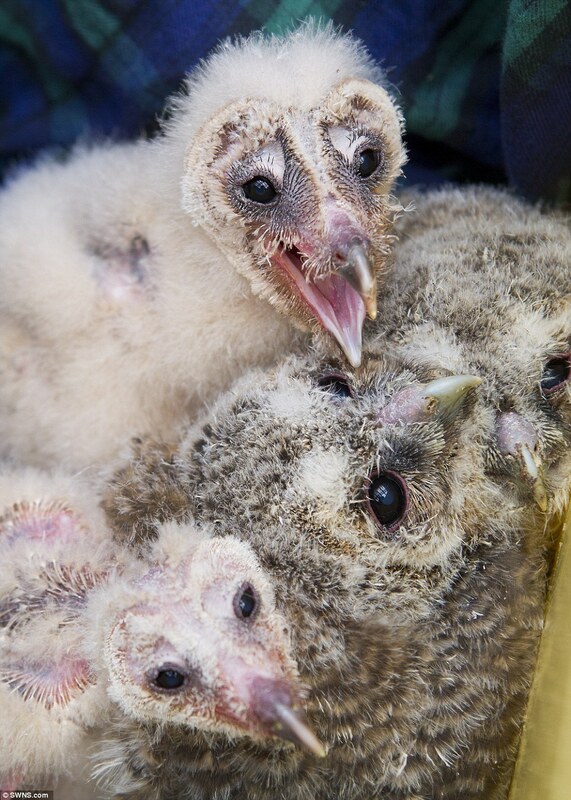 The birds are migratory and travel south every winter in search of warmer weather. 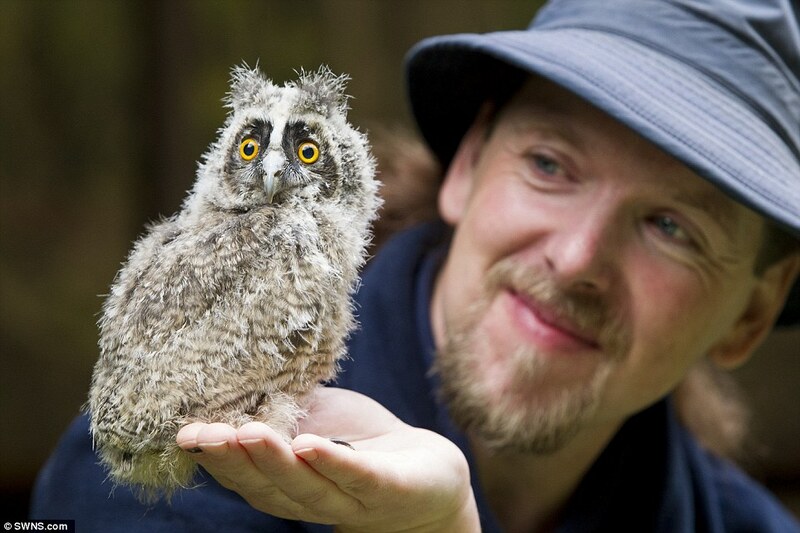 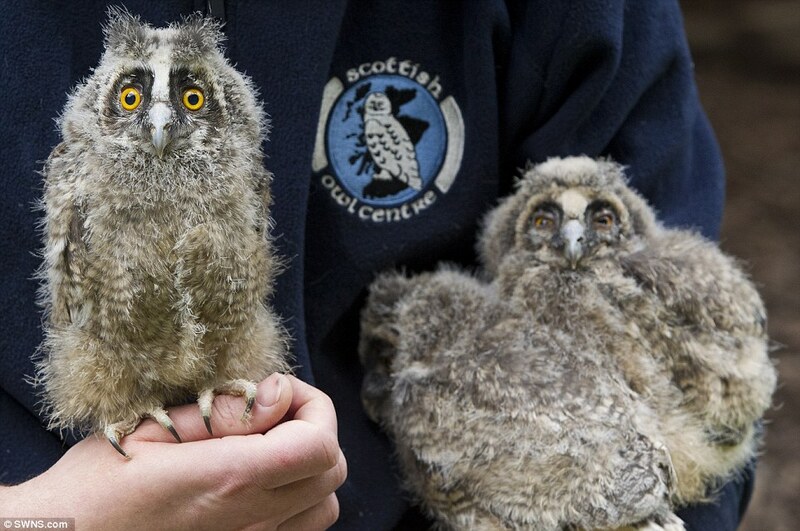 Responses to "Internet Falls in Love With Four Cuddly Baby Long-Eared Owls at the Scottish Owl Centre"